Athy Par 3 Golf Course is a nicely maturing parkland, Par 3, 18 hole (16 Par 3 and 2 Par 4) on a 50 acre site, situated along side the Grand Canal overlooking the beautiful Kildare countryside. Water features and bunkers provide an excellent challenge to golfers of all levels. The course is a well laid out, sand based, nicely maturing parkland. The course is an 18 hole course (16 Par 3, 2 Par 4) on a 50 acre site. Societies and classics are very welcome to avail of course and facilities. The total distance of the course is approximately 3000 yards with average lenght 165 yards. (Shortest distance 90 yards and longest distance 258 yards - Par 4). 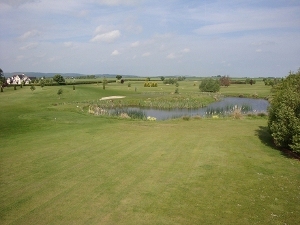 Athy Par 3 Golf Course is located approx 1 mile from Athy Town centre on the Stradbally Rd.